Kicker 4 (You may pay an additional 4 as you play this spell.) Kavu Aggressor can't block. 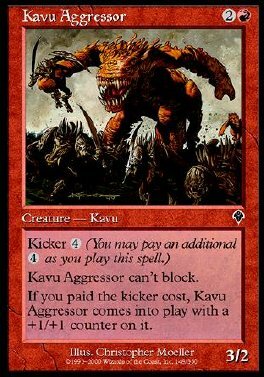 If the kicker cost was paid, Kavu Aggressor comes into play with a +1/+1 counter on it.